Knopf Books for Young Readers, 9780375848186, 256pp. 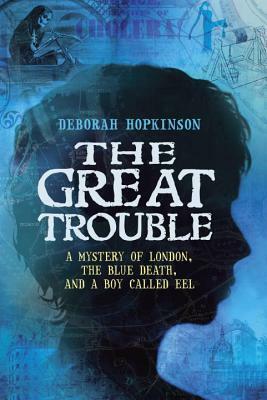 DEBORAH HOPKINSON has written more than 40 books for young readers. Her picture books include Sky Boys: How They Built the Empire State Building, an ALA-ALSC Notable Children's Book and a Boston Globe-Horn Book Honor Book; Abe Lincoln Crosses a Creek, an ALA-ALSC Notable Children's Book and a Junior Library Guild Selection; A Boy Called Dickens; and the ALA Notable Book Apples to Oregon. She is also the author of the middle-grade novel Into the Firestorm: A Novel of San Francisco, 1906. Visit her at DeborahHopkinson.com. "Hopkinson adeptly recreates the crowded, infested streets of London, but it’s her distinct, layered characters and turbulent, yet believable plot that make this a captivating read." "Although detailing a dire period in history, Eel tells his story in a matter-of-fact and accessible manner, making his story palatable and entertaining."